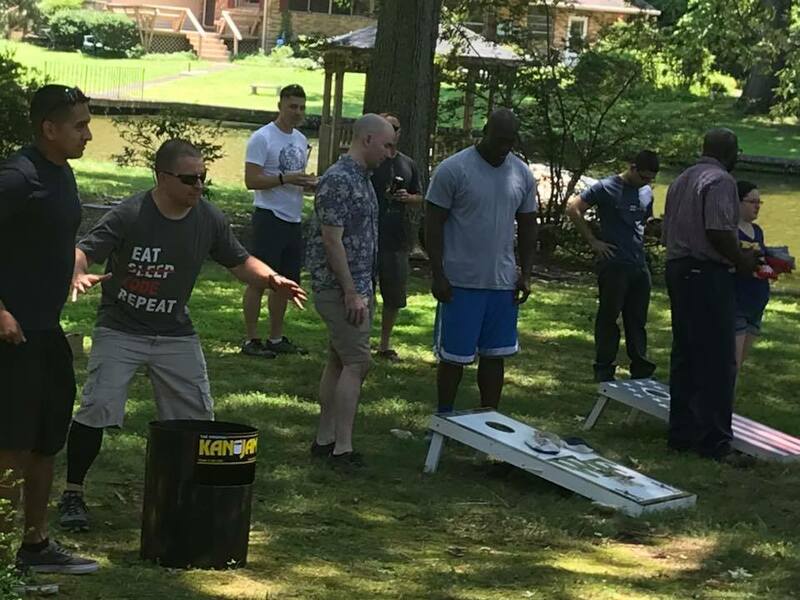 We held a BBQ at our house for DJ's flight where they got out of work to hang out, eat, and play games. DJ plays Kan Jam, a yard game with frisbees, at the flight BBQ held at our house. He is ready to jam that frisbee into his kan.